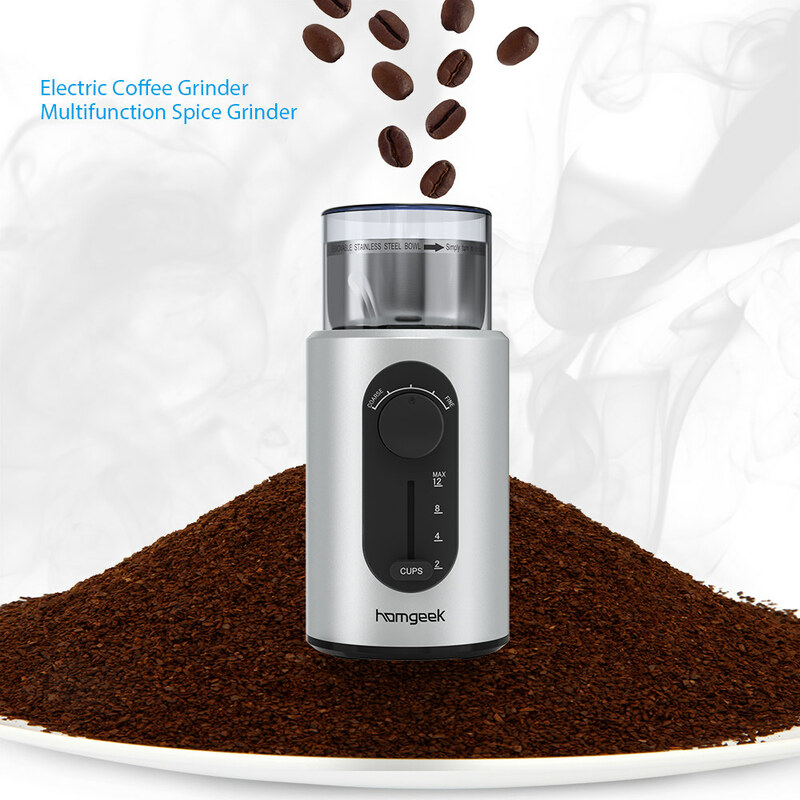 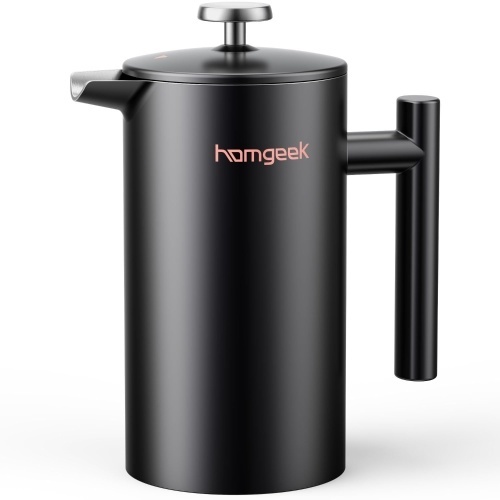 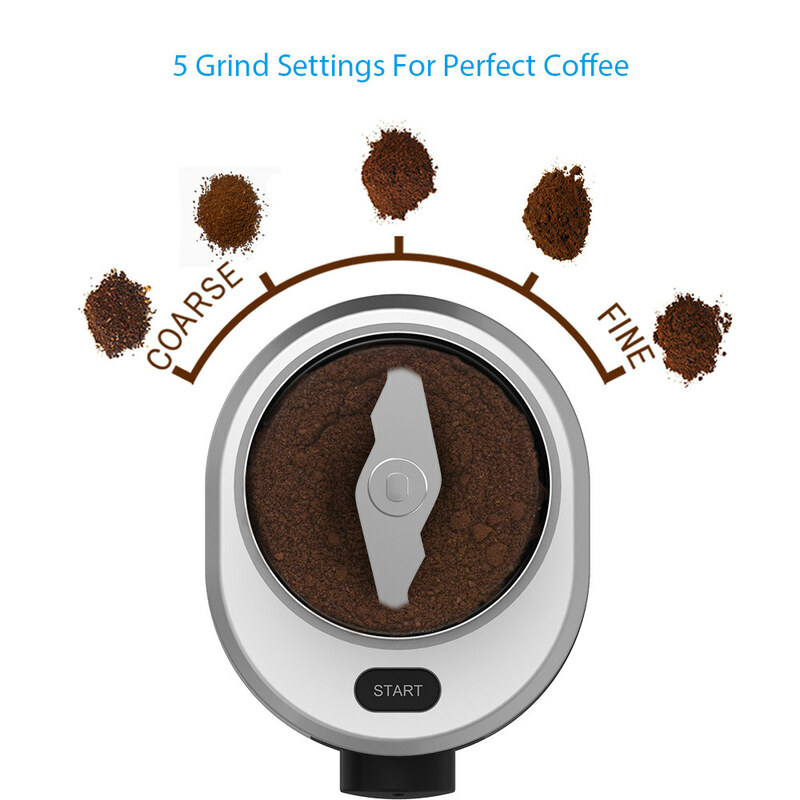 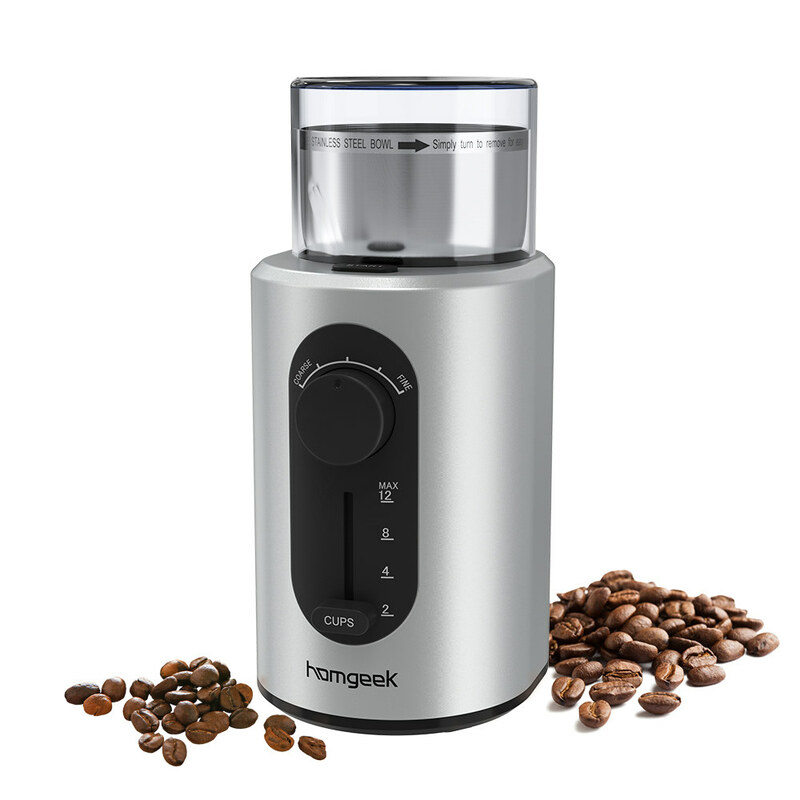 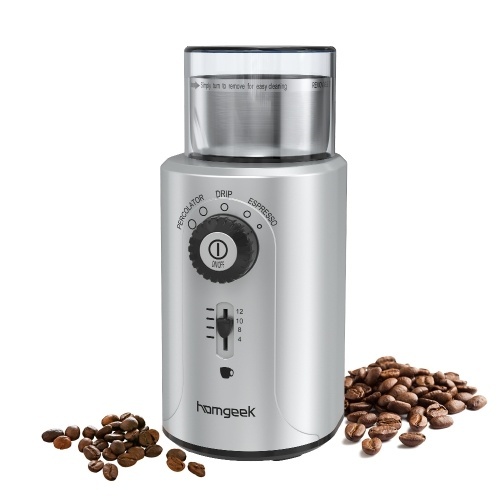 Homgeek Coffee Grinder will grind your favorite coffee beans fast and easily! 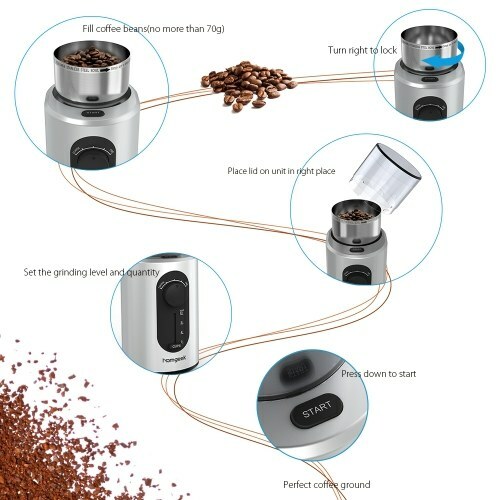 CUSTOMIZABLE: This electric coffee grinder features 5 precision grind settings from coarse to fine and 4 cup level settings for 2, 4, 8 or 12 cups of brewed coffee. 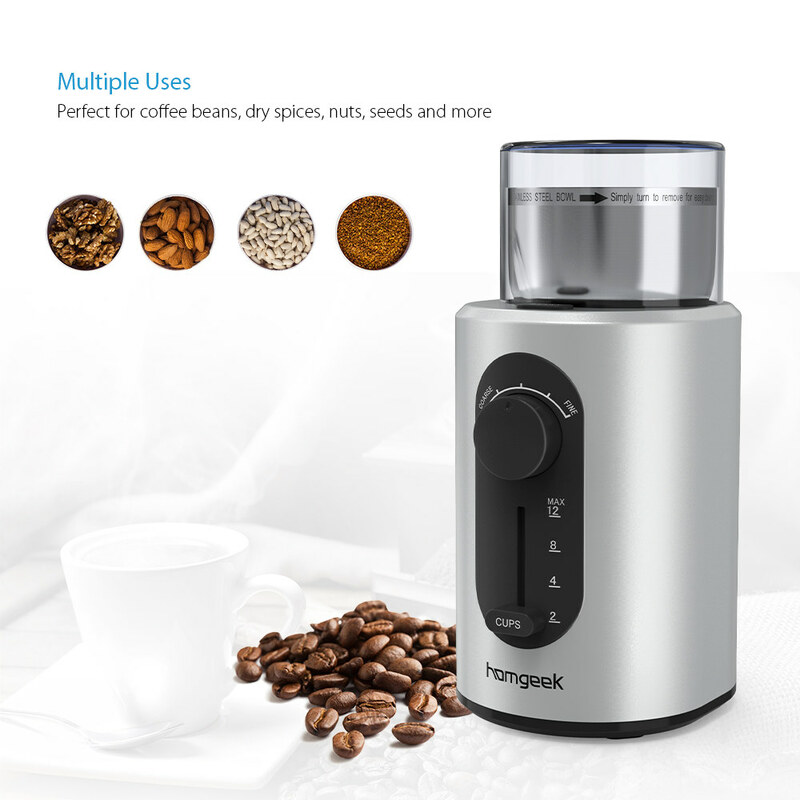 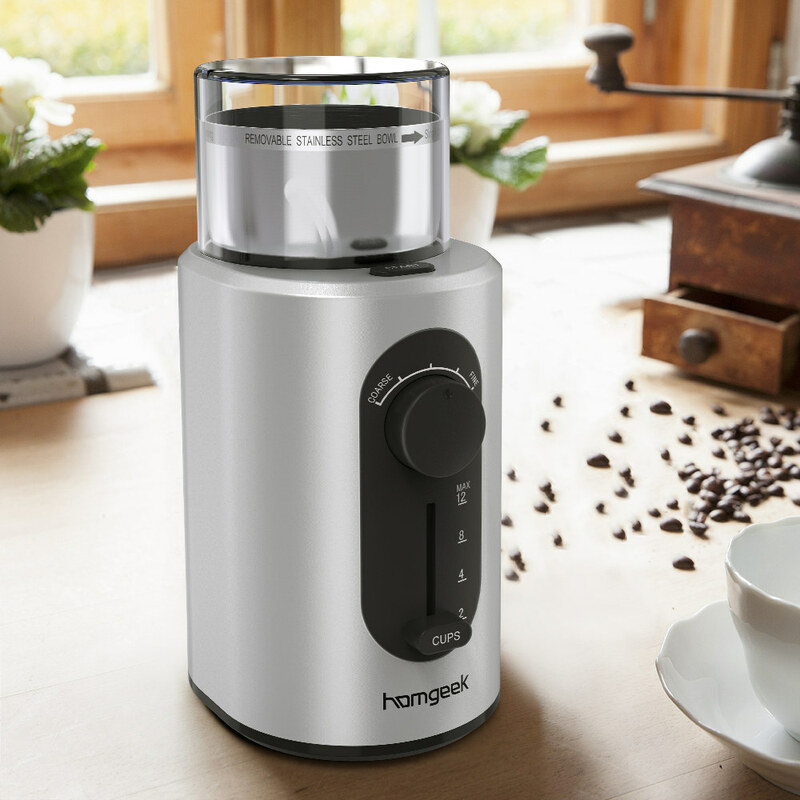 MULTIPURPOSE: The powerful quiet motor with high-speed stainless steel blades is great for coffee beans, nuts, seeds, and dry spices, effectively grinds beans quickly and uniformly without burning. 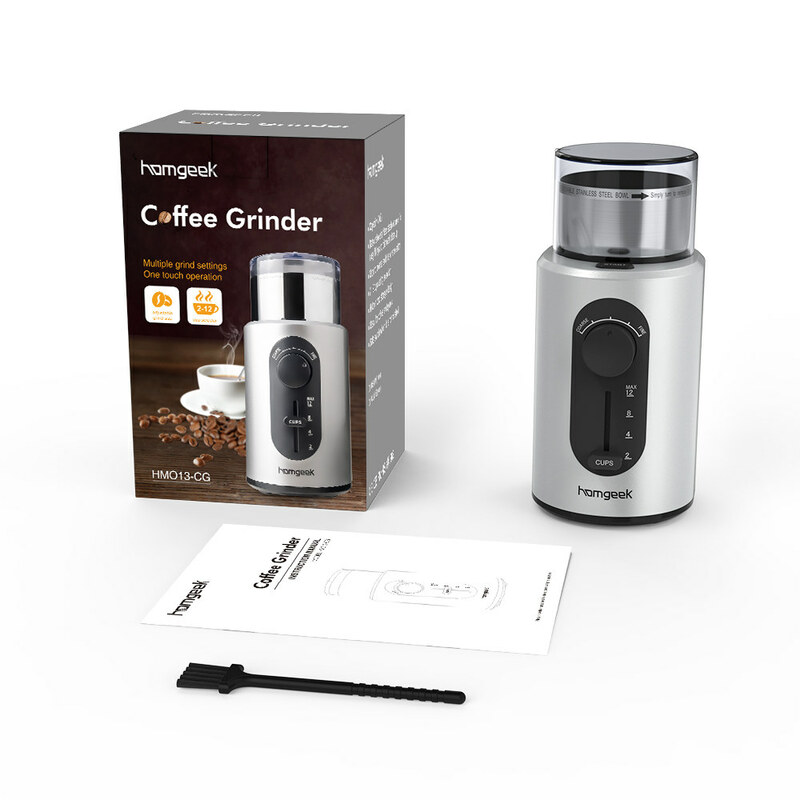 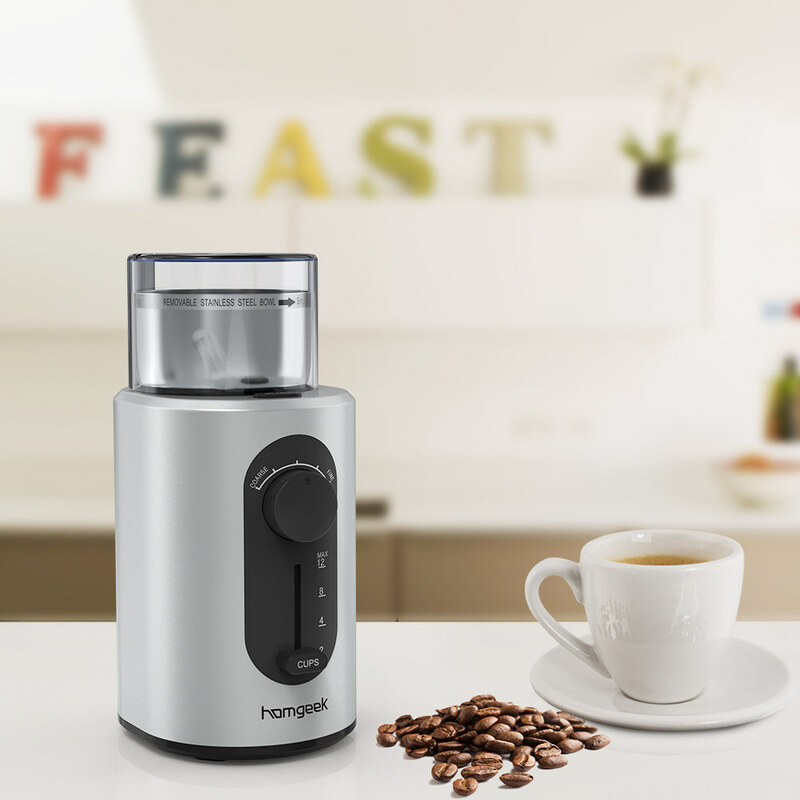 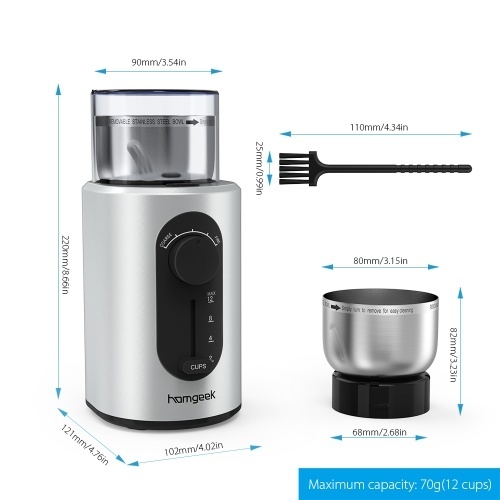 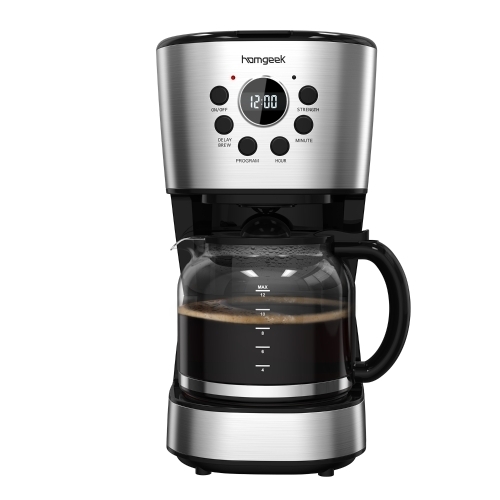 EASY TO USE: It features a clear top cover, which lets you see the process of how it grinds, All you have to do is add the coffee beans in the container and press the button! Safe AND Convenient: Designed with safety lock that ensures safe use, Cord can be easily stored in the base, the removable stainless steel grinding chamber makes it easy to pour out grounds and is dishwasher safe for easy cleaning. 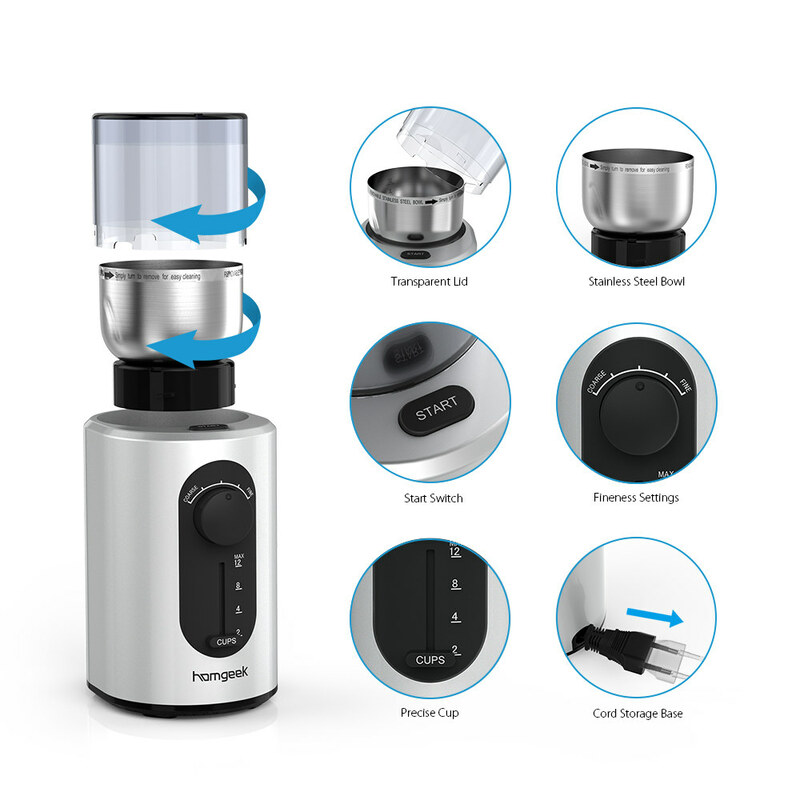 Notice: Do not use this unit continuously for more than 60 seconds, or the overheat protection system will be activated and stop the device. When you meet this problem, please stop to use it, let it cool down for 15 mins and try again. One Year Warranty.